This website is designed to introduce you to Henley Baptist Church in Henley-in-Arden, Warwickshire. Here you can learn about the life of the church, meet the pastor and request prayer or information. Bear: and be good news to others of the Spirit of Jesus. Since 1688 our church has been committed to serving our Lord Jesus in our town of Henley. Meetings were originally held in houses until the first chapel was built in 1822. 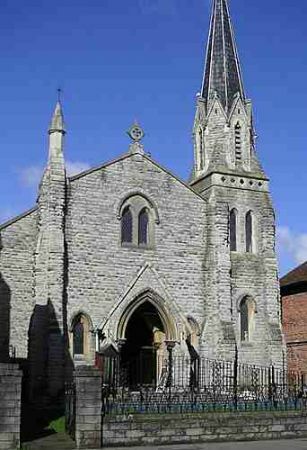 In 1867 George F Muntz gave the money for a new chapel of Wilmcote stone to be built. Unfortunately a disastrous fire in 1936 left only a few walls standing but the chapel was rebuilt and reopened in September 1937. Coffee mornings in the Baptist Hall: 10:30am - 12noon. Coffee/tea and scone on a Wednesday for 60p. Coffee/tea and biscuits on a Saturday for 50p. We look forward to meeting all our regulars and welcome any new friends and visitors.